Forget the standard journals and let's start keeping a kindness journal. Each time you have done an act of kindness or each time somebody has been kind to you, record and date it. 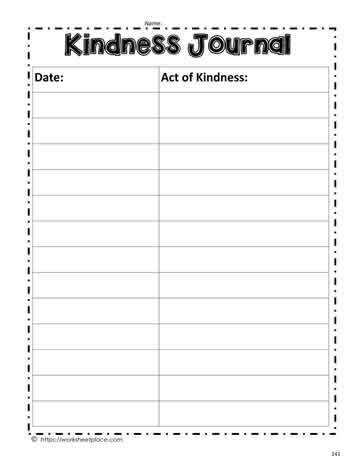 You'll be surprised at just how many smiles reading your kindness journal will bring you.